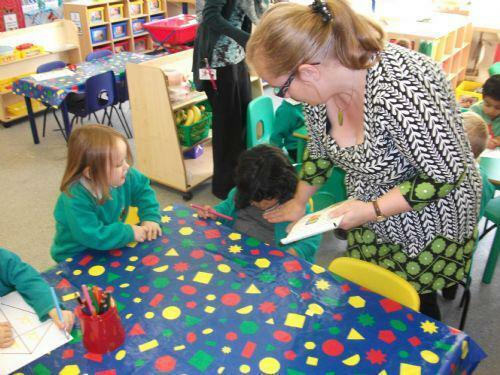 Phonics is a fun and child centred approach to teaching literacy. 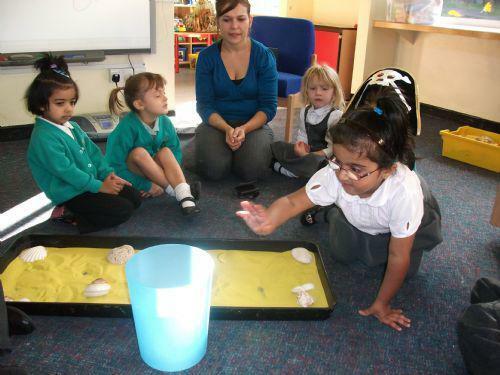 With actions for each of the letter sounds, the multi-sensory method is very motivating for children and teachers, who can see their students achieve. The letter sounds are split into groups as shown below. In nursery the children will only be taught the Phase 2 sounds. The sounds are taught in a specific order (not alphabetically). 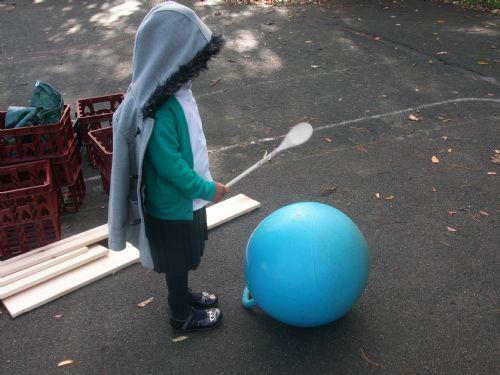 This enables children to begin building words as early as possible. Children are taught how to blend the sounds together to read and write new words. The children are also taught to read a set of Tricky Words. Tricky words have irregular spellings and cannot be sounded out using their knowledge of phonics and children learn these separately. We follow the 'Letters and Sounds' scheme set by the Primary National Strategy. This breaks down how the children learn phonics into phases. In nursery we work through Phase 1 and Phase 2. 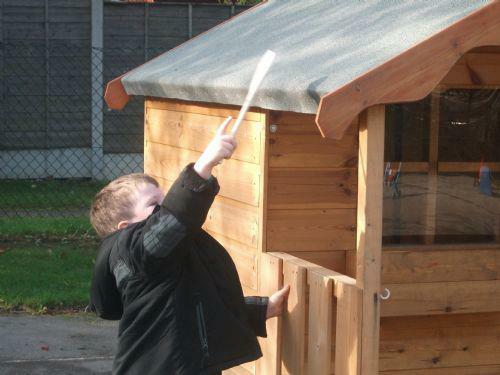 Phase 1 activities promote the childrens ability to distinguish between different sounds. 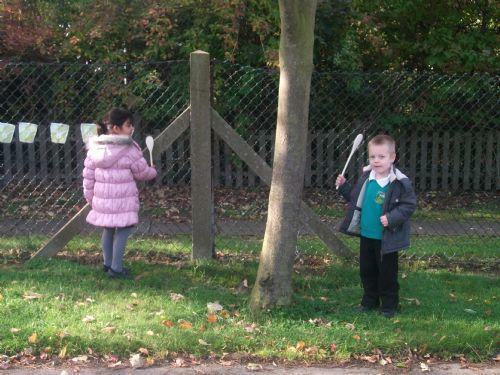 This is an example of the children taking part in a Phase 1 activity called 'Drum Outdoors'. In Phase 2, letters and their sounds are introduced one at a time. A set of letters are taught each week (as above). As soon as each set of letters is introduced, children will be encouraged to use their knowledge of the letter sounds to blend and sound out words. For example, They will learn to blend the sounds s-a-t to make the word sat. They will also start learning to segment words. For example, they might be asked to find the letter sounds that make the word tap from a small selection of magnetic letters. 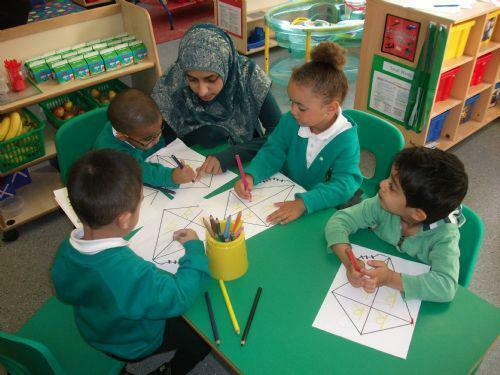 Here the children are taking part in a Phase 2 activity, writing a 'k' on a kite template. The children are rewarded with stickers! 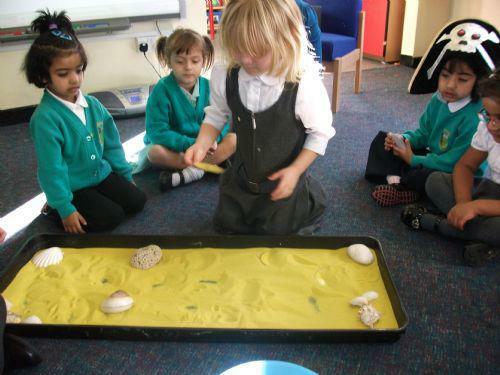 In the Phase 2 game 'Buried treasure' the children have to dig in the sand to find a coin with a word on. We then try to sound out the word and if contains the letter we have been learning about that day, it goes to to the pirate. If it doesn't then it goes in the bin.